San Francisco vape ban would prohibit sale of all e-cigarettes in the Bay Area. In an effort to crack down on the use of e-cigarettes by minors, San Francisco Supervisor Shamann Walton and City Attorney Dennis Herrera introduced first-of-its-kind legislation this week that would ban the sale of e-cigarettes in the city unless they get Food and Drug Administration (FDA) approval. The catch? No e-cigarettes have received FDA approval. FDA rules currently state that vaping companies have until 2021 to submit their products for FDA review. If passed, the bill would effectively ban all e-cigarettes in the city for months, possibly years. The San Francisco vape ban bill is the first of its type in the country. 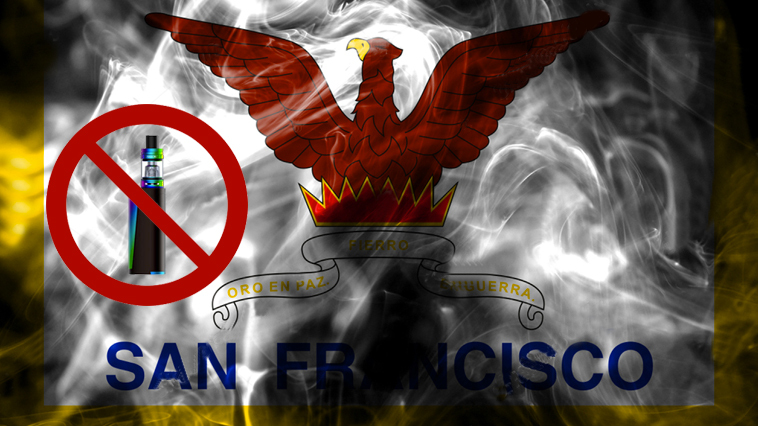 San Francisco was also first city in the U.S. to ban flavored tobacco and e-cigarettes. The FDA guidelines currently restrict the sale of flavored e-cigarette products to stores that are age-restricted, or have age-restricted areas. Bans on flavored vape juices across the country have resulted from what the FDA has called the “epidemic” of teen vaping. The Centers for Disease Control issued a CDC vaping report earlier this year which found that there were 1.5 million more current youth e-cigarette users in 2018 than 2017, up from 2.1 million in 2017 to 3.6 million in 2018, an increase so significant that it essentially wiped out the progress in curbing youth tobacco use over the last several years. Teen vaping in Marin County, which is located directly across the Golden Gate Bridge from San Francisco, doubled from 2016 to 2018. Both the FDA and the CDC have specifically targeted JUUL, which is the most popular e-cigarette among under-aged e-cigarette users. Supervisor Shamann Walton, who introduced the new San Francisco vape ban legislation, announced plans to ban making, selling, or distributing tobacco products on San Francisco city property as well. The legislation specifically targets e-cigarette company JUUL Labs, which rents space in San Francisco in Walton’s district. Vaping proponents say the law goes too far and will keep e-cigarettes out of the hands of adults who are using e-cigarettes in an effort to quit smoking. Soupwire brings you the latest in vaping deals, news, and reviews.